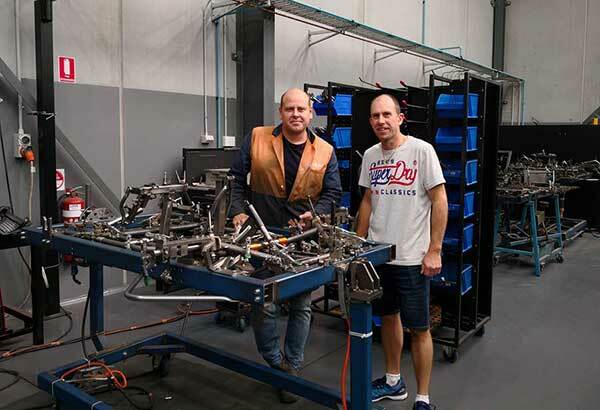 KF Kart’s Kip Foster visited the DPE Kart Technology factory in Melbourne recently to check out the manufacturing of his karts. 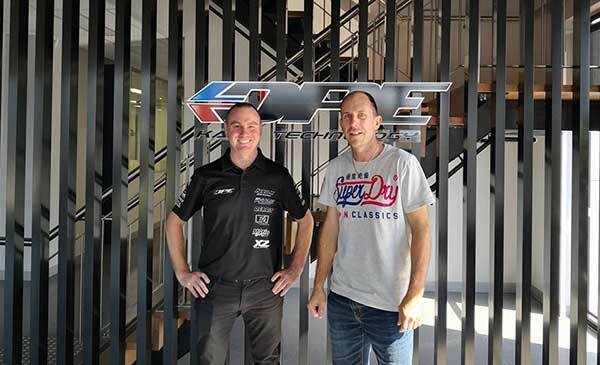 “(It was) great to check in with the team at DPE Kart Technology and inspect some of the finer points in the production process of our very successful KF Kart X5 chassis” Kip said. Foster added that it’s “full steam ahead” as they push to release kart in the USA later this year, at the annual Las Vegas SuperNats. 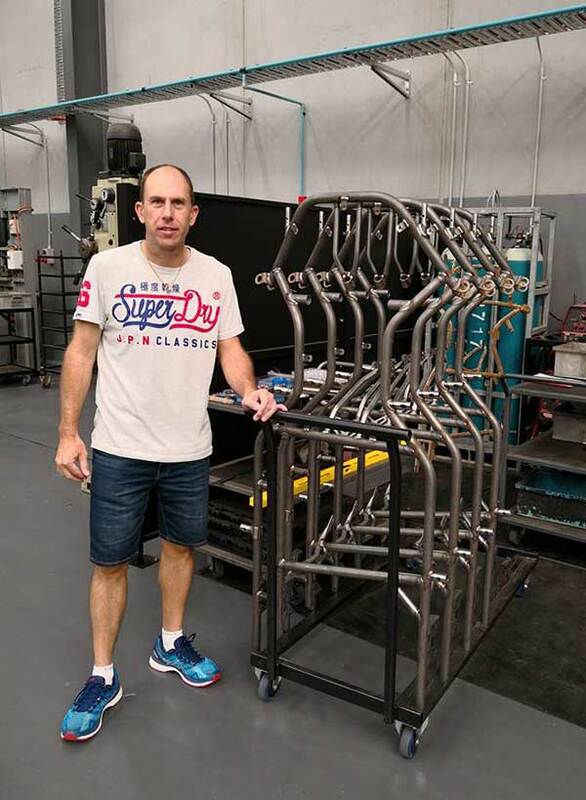 Scott here preps a new X5 KF Kart frame in the jig for welding.